This site is for pgday.eu 2009. The 2010 edition is at http://2010.pgday.eu ! PGDay.EU 2009 is over! A big thanks to all our about 200 attendees for showing up and making this to a great event, and of course to all our speakers and staff! More information, including pictures and slides, will be made available over the next couple of days! If you search for the slides they are here! This year, the conference will be held November 6-7 in Paris, France. This event is organised by PostgreSQL Europe and PostgreSQLFR. 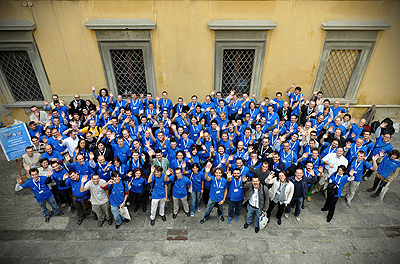 PGDay.eu is an unique moment where PostgreSQL users and developers can meet and exchange during two days. The event will have several tracks (in both English and French), covering all levels from beginners to advanced users and developers. Conference registration is now closed. You can still show up and pay the at-the-door price. You can now register for the conference! The schedule for the conference is now available. The call for papers for the conference is now open. Our website at http://2009.pgday.eu is now open.